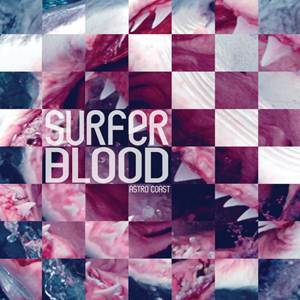 I've been listening to Surfer Blood's full length Astro Coast for the last couple of days and have to say it's fantastic! Are there any other bands from West Palm Beach, Florida? If you're into any of the indie/alternative bands to release music in the last 10-20 years, the best description I can come up with of Surfer Blood is that they're a conglomeration of all that is notable: Pavement, Arcade Fire, The Shins, Band of Horses, Dinosaur Jr., Pixies, Weezer (1st album), etc..... With a touch of reverb thrown in for good measure (see surf music).